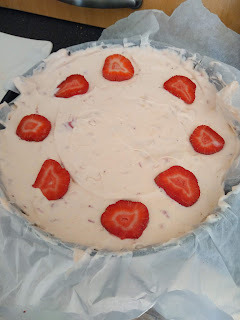 Here's a recipe I've been using for a long time, a no fail strawberry cheesecake with real strawberries. I've spent so much time trying to make cheescake's in the past, and they would just fall into a big soft creamy mess. I just couldn't get the cake to hold. The answer: gelatin. Ever since I have used gelatin in my cheesecakes, it wont fall and holds perfectly. Line a cake tin with a small amount of butter and then add a layer of parchment paper to the base and sides covering the whole of the inside of the tin. Melt all the butter either in a microwave or in a non-melt bowl over a saucepan of hot water. Crush or blitz all the biscuits until it has become fine crumbs, then add the melted butter and use a large spoon or spatula to mix. Add the biscuit and butter mix to the base of the tin, pressing down to make a flat compacted base to the cake. Put this into the fridge to cool for now. Put the gelatin into a bowl, and use a few tea spoons of water to cover the gelatin, just until it has all become wet. Do not pour loads of water over the gelatin. Allow to sit for 5 minutes. Now put the gelatin and water into a microwave and heat for a few seconds until the gelatin has melted into the water. Put to one side to cool for now. 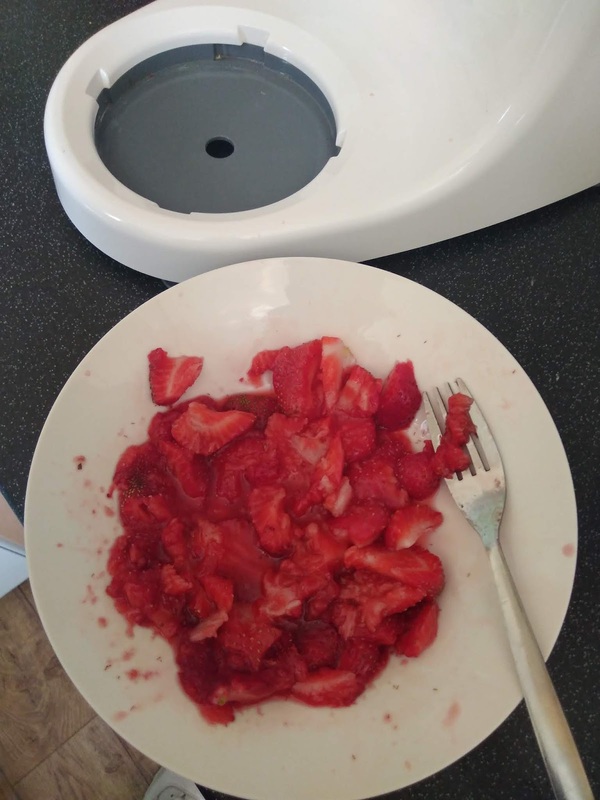 Crush only 6 of the strawberries using a fork until it has become mushy. Use a mixer to whisk together the cream, soft cheese, caster sugar, mushed strawberries, strawberry flavouring and gelatin. 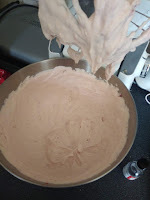 Mix until it has become thick and creamy and has turned a soft pink in colour. Add the mixture to the cake tin on top of the biscuit base. Spread evenly. 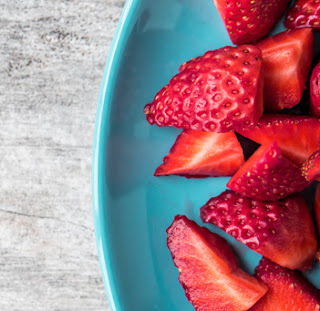 Cut up some slices of the remaining strawberry and lay on top of the cake, put the tin back in the fridge and allow to set for a few hours, or even overnight.